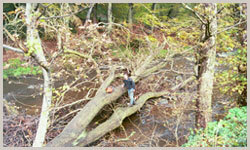 Tree felling involves removal of a tree to ground level. We will ensure that the felling of trees is carried out in a safe and efficient manner. This involves the removal of dangerous or overhanging branches, reshaping, crown reduction and crown thinning. This will improve the health of the tree and it’s environment improving light penetration and reducing the effects of wind damage. This involves the removal of any kind of tree stump into fine particles, no matter what its size. Stump grinding is especially useful when wanting to build a fence or plant other trees and shrubs nearby. This is the removal of a small portion of live branches to help the foliage appear evenly dense and spaced. It is usually confined to broad-leaved species and does not alter the overall size or shape of the tree. Our clients ask for the service for a number of reasons and these include allowing more light to pass through the tree, reduce the weight of heavy branches and reducing wind resistance. Crown reduction involves reducing the overall height of the tree by removing the top branches and maintaining an even shape. Crown lifting involves removing the lower branches of the tree to give the tree a uniform height and shape. Reasons for crown reduction could be to bring in more light or give access underneath the tree e.g. traffic. We will contact your local authority as part of our service to check for trees located in conservation areas and whether the tree in question is protected by a T.P.O. Our commercial services expertise and large scale machinery gives us the ability to provide a fast and effective commercial service from our skilled professional arborists. Our commercial tree services include site clearance or storm damage clearance, and large scale tree dismantling and felling. Our commercial clients include local authorities, highways and byways, construction contractors, utility companies and environmental bodies. 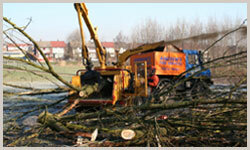 Andrews Tree Services are based in Ripponden, near Halifax, West Yorkshire and was established 25 years ago. 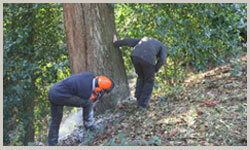 We are fully qualified arborists and tree surgeons, specialising in both domestic and commercial tree services. If you would like a free quotation please click here.